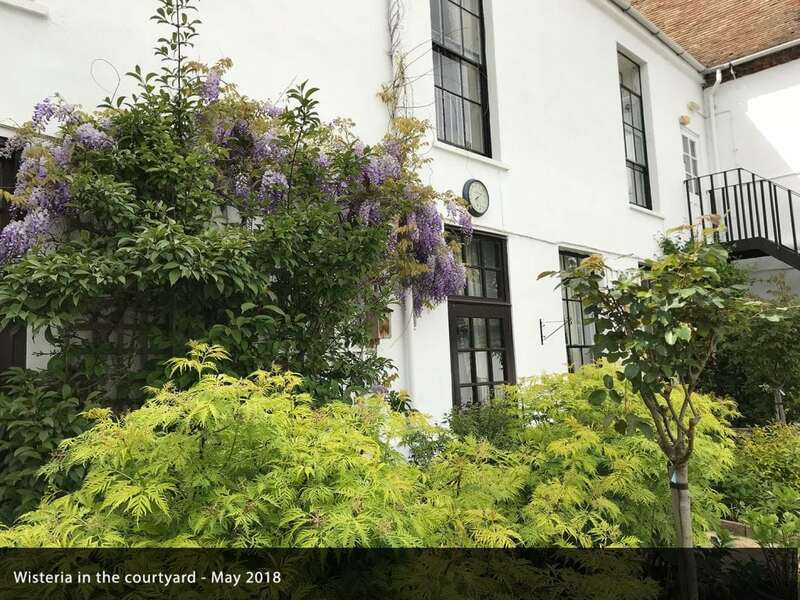 In the last couple of weeks, we finally had a few days of long awaited warmth and sunshine and, as a result, our residents were eventually able to sit out in their courtyard and enjoy the array of beautiful colours and scents of the blossoming plants, shrubs and climbers. This, along with the sound of the wind chimes and the water fountain in the background, accompanied by afternoon tea, made these moments a wonderfully sensorial experience overall. The front garden and lawn have also become vibrant and alive and full of colour, evidencing the diligent work and loving care of our gardeners over the past few months.